I revised this post (and Part I too), adding many new fake samples, after some anonymous Italian collectors gently gave me some pics of old listings stored in their personal digital archives. I open the second part of this investigation on the pervasive and widespread forgeries of Lipara by sharing the related plate from Weber collection, to give even more evidences to my statements concerning the correct style, fabric and shape of flans for this mint. Also this type of Lipara has been faked in many ways. Let’s start from the most obvious cases, the first three already listed by Forvm users, all the other cases are newly disclosed. 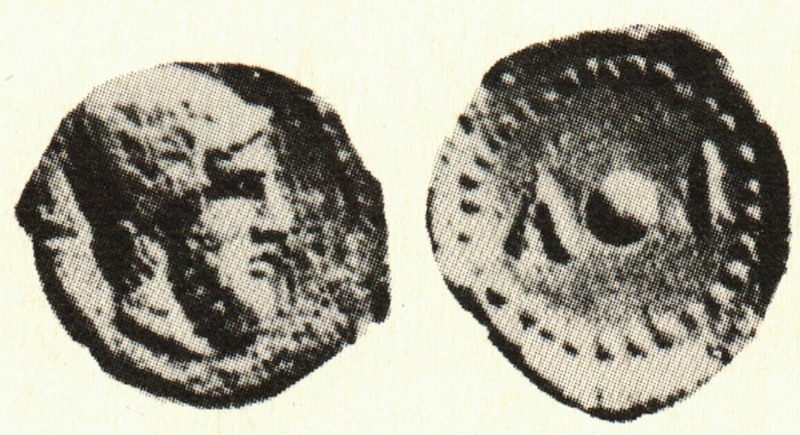 This is a fake, clearly pressed by modern dies on a real ancient flan, look at the flat fields and the many radial small fractures, all features typical of the pressed forgery process. Ooops! they are Twins! The coin sold by Künker just a month ago (BTW, price realized: 625 Eur!!) is a cast twin of the pressed fake sold by the same seller in 2012. Chapeau! The lot went unsold, and six months later the seller tried again to sell it, 25% less estimate, and an attractive addition to description: “exceptionally well preserved for the type“. Nothing to do, again no fish fell into the net, and the exceptional coin went unsold again. Style and epigraphy are so wrong that I am uncertain whether this coin is struck by modern dies engraved by a a drunk forger, or it was once genuine now entirely re-engraved by a drunk tooler; maybe it is both things?. Only one thing I’m sure, it’s junk. The scrap was recycled by Lanz on his ebay shop, just two weeks after the Roma sale!! The ebay auction realized final price 517 Eur, after 25 bids. I am grateful to those who gave their contribution to this article by giving me even screenshots of the old ebay listings. There are other sample for this type out there I suspect to be fakes, like this one listed by Gorny (traces of undertype: obverse 3h-8h, dotted border of the real ancient coin used as flan? no overstrikes detected by Calciati for Lipara). Further studies with coins in hand would be needed to really realize the magnitude of the phenomenon, which already just by a photographic survey seems of dramatic proportions. (At this link a genuine sample from CNS, here another genuine one from BM). 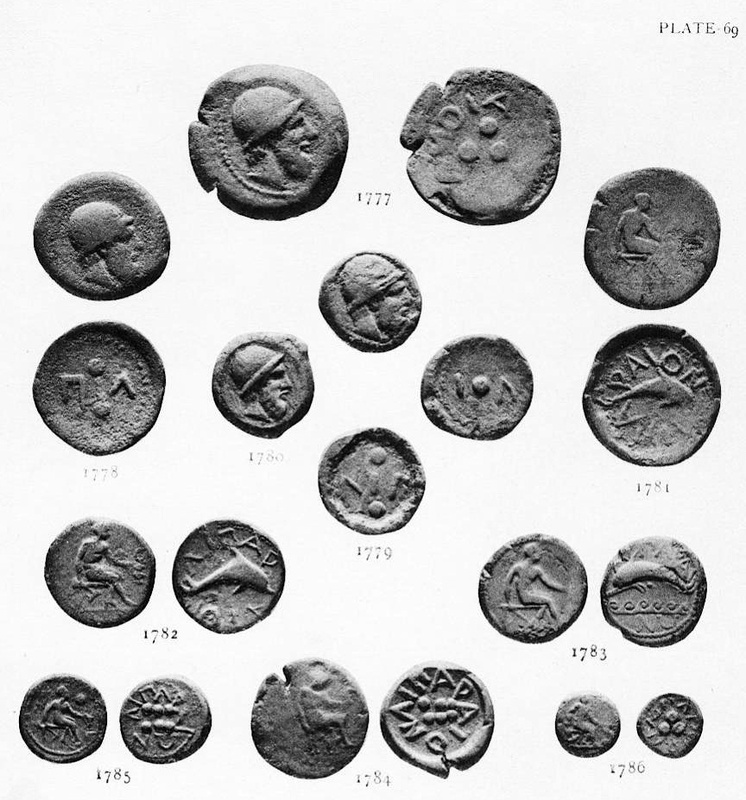 Also in this onkia we can see the flat fields and the wrong shape of the flan, inconsistent with the real coinage of Lipara. In this case is interesting to note the “goose bumps” look of surfaces and the particular feature of the borders showing multiple radial microcracks, all signs that the ancient genuine bronze flan was heated before the modern re-strike by press. The green patina is clearly artificial. For the same reasons of inconsistency of fabric also this coin sold by CNG is probably a modern forgery artificially aged and corroded. Finally for Lipara CNS 7, we have this group of cast fake twins, the first two sold by Roma Numismatics Limited, the third by ArtCoins Roma, the fourth by Myntauktioner i Sverige AB.